Last year selfie was awarded the prestigious title of ‘Word of the Year’ by Oxford Dictionaries, beating the likes of twerk and binge-watching to top spot. Now, NASA has jumped aboard the social media self-image craze to help celebrate its 2014 Earth Day. The agencies #GlobalSelfie event is part of a worldwide celebration of Earth Day. It is inviting everyone on the planet to step outside and take a picture of yourself wherever you are on Earth this Tuesday (22nd April). To take part simply download and print this image and post a selfie to your favourite social network site. NASA will be monitoring photos posted to five social media sites: Twitter, Instagram, Facebook, Google+ and Flickr. You can post your photo to Twitter, Instagram or Google+ using the hashtag #GlobalSelfie, or post it to the #GlobalSelfie event page on Facebook or the #GlobalSelfie group on Flickr. You can also join the #GlobalSelfie Google+ event page. An Earth Day mosaic image and a video using the selfie images will be put together by NASA and released later this year. 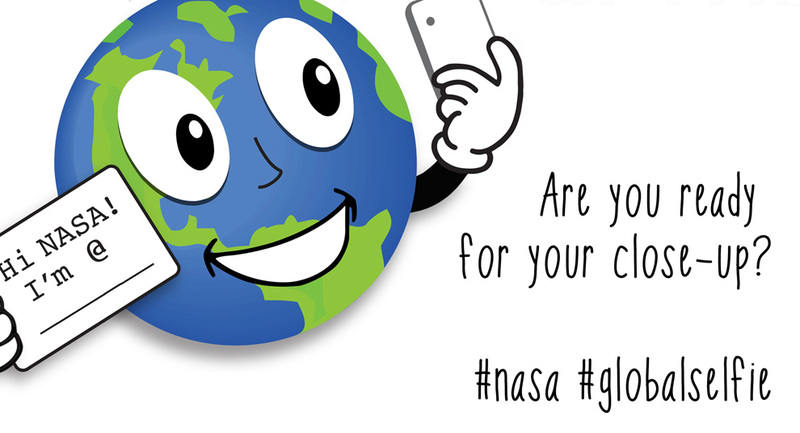 For more information on Earth Day 2014 and #GlobalSelfie visit the official NASA website.